It was designed with a bias toward system programming and embedded, resource-constrained and large systems, with performance, efficiency and flexibility of use as its design highlights. Many vendors provide C++ compilers, including the Free Software Foundation, Microsoft, Intel, and IBM. The best way we learn anything is by practice and exercise questions. We have started this section for those (beginner to intermediate) who are familiar with C++ programming. 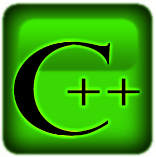 Hope, these exercises help you to improve your C++ programming coding skills. Currently, following sections are available, we are working hard to add more exercises .... Happy Coding!